IT’S UNFORTUNATE THAT Darwin has received all the glory for his theory of evolution when 50 years earlier, Frenchman Jean Baptiste de Lamarck proposed ideas that were to prove seminal to future discourses on evolutionary biology. The Lamarckian theory centred on the mechanism of inheritance, with the basic premise being that environment influences an organ’s development and characteristics acquired during a lifetime could be passed on to the next generation. It sounds like a sound enough theory but, as seen in Lamarck’s Evolution, both vociferous acclaim and acrimony were to dog the scientist during his life and for the two centuries thereafter. Let me say how much I admire this book: Ross Honeywill’s account of the entire 200 year story is breathtaking—(when) I read it I was enthralled and enthused, as I almost never am by popular history of science writing. The material is well informed by history of science perspectives and a wise use of interviews with scientific and historical experts. Ross Honeywill’s exceptional effort, and vision, in putting this book together, is a remarkable piece of history of science popularisation. I can see now just how good popular history of science writing can be. I confess to greatly admiring this work marked by passion, energy, detail and amazing speed and address. This is a lucid and engrossing book. In particular Ross has nailed the Steele story…I am now convinced Ted Steele is even more potentially important, and historically interesting, than I thought before. Steele is certainly redeeming the tragic heroism of Lamarck, but I think there is a more complex and fascinating story here than that: Not only does this book provide valuable insights about the process of scientific discovery, but it also places Steele in an even more important light in the history of science. I can hardly wait for this book to land right in the middle of the ongoing scientific debate raging around Lamarck and Steele. Australian scientist Ted Steele chanced on nineteenth-century French scientist, Jean-Baptiste Lamarck, on a long plane flight in 1978. Reading Arthur Koestler’s Janus, he was particularly struck by the chapter ‘Lamarck Revisited’. In 1809, Lamarck had published Philosophie Zoologique, a work in which he anticipated Darwin’s theory of evolution. What struck Steele about Lamarck’s theory was that he posited that characteristics acquired by an organism during its lifetime could be genetically passed on to its progeny. At the time, Lamarck’s theories gained many enemies and he died 20 years later: penniless and largely unacknowledged. Fifty years after Philosophie Zoologique, Darwin published On the Origin of Species. 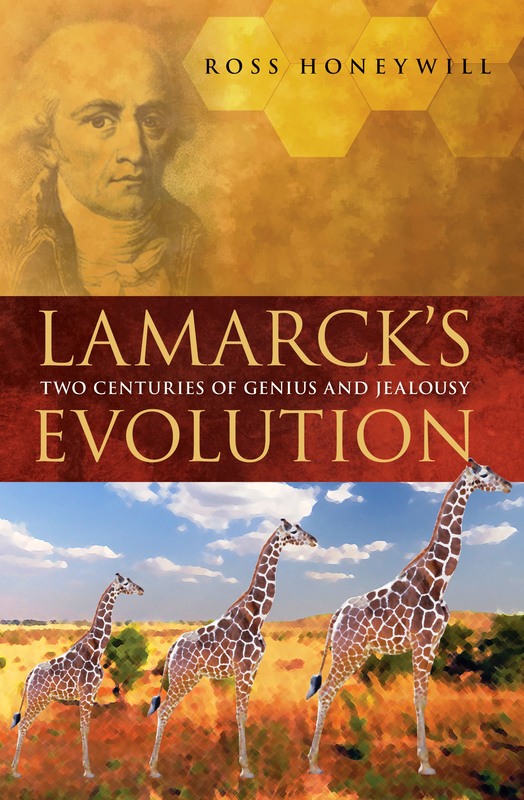 While Darwin did acknowledge Lamarck’s contribution, he disagreed with his idea that acquired characteristics could be passed on to the next generation. The ascendancy of Darwinian theory meant that few scientists pursued Lamarck’s ideas with much vigour. (Although Austrian Walter Kammerer’s experiments with the midwife toad seemed to confirm Lamarck’s theories; in the Soviet Union, agronomist Trofim Lysenko used Lamarckian theory to improve crops.) It was Steele and his colleague Reg Gorzynski who advanced the research to prove Lamarck right. In 1979, Steele (a fiery and driven character) published his findings in Somatic Selection and Adaptive Evolution. Like Lamarck, Steele was challenged by the prevailing scientific community – ultimately, he was driven, or drove himself, out of the academy. However, 200 years after his work was first published, Lamarck’s theories are finding their place.